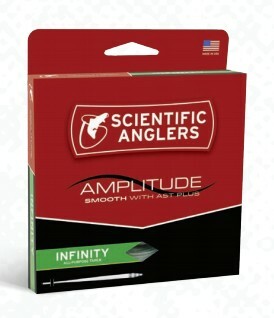 The new Scientific Anglers Amplitude Smooth Infinity is one of the finest fly lines available! I’ve been fishing it now for about 3 months and cannot say enough good things about it! The Amplitude Smooth Infinity is simply a game changer! The Amplitude Smooth Infinity is designed a half-size heavy to load fast action rods, which is ideal for fishing dries, nymphs, and streamers. The AST Plus slickness additive is especially nifty as it assists in shooting line with ease and increases the fly lines durability. Whether your fishing a smooth flowing tailwater, or an untamed freestone, this fly line does it all! The Amplitude Smooth Infinity has an extremely versatile taper that works well for short-line nymphing, delicate deliveries with tiny dry flies, or chucking heavily-weighted streamers. It roll casts like a champ; and when it comes to long-line nymphing, this fly line is a dream come true! I have never used a fly line that mends so easily. The Amplitude Smooth Infinity is available in two colors: standard and camo. The camo line is designed with stealth in mind and incorporates a mottled frontend taper. 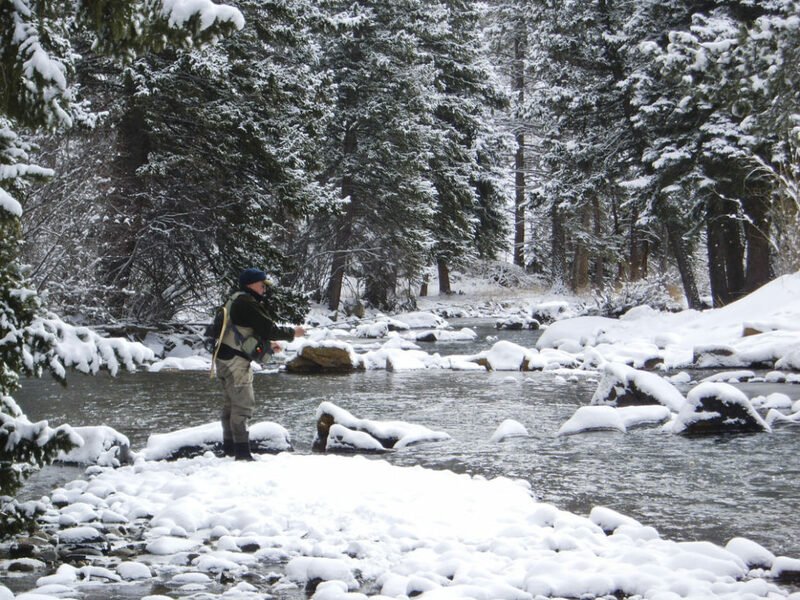 With the winter-season quickly approaching, fly-fishers need to break out their arsenal of tiny flies. For the next several months, midges make up the bulk of a trout’s diet. I strongly recommend that you familiarize yourself with a midges’ lifecycle (larva, pupa, and adult) and carry patterns to imitate the various stages of their development. Midge larvae can be identified by their wormlike appearance. Larva are characterized by their slender, slightly curved, uniform abdomen with visible segmentation. Midge larvae look like little segmented tubes! Another distinguishing feature is their small head which is easily imitated with a few wraps of tying thread. Most larvae you’ll encounter on streams range between one-eighth and one-half inch in length. Throughout the winter months, anglers need to carry a thorough assortment of midge larvae in size 18-20. Pale-olive and red larva are among the top producers. Midge larvae living in low oxygenated areas of a trout stream are called blood worms or blood midges. They are blood-red because they contain an oxygen carrying pigment called hemoglobin that allows them to survive in areas with little or no oxygen. This rainbow was fooled with a Bead Head Red Midge Larva. Midge larvae living in low oxygenated areas are referred to as blood worms or blood midges. Midge larvae are an important food source for trout year-round because they get knocked loose from the substrate and drift continuously in the water column, a phenomenon referred to as constant drift. A constant supply of midge larvae is especially important for opportunistic trout when other aquatic insects are inactive. In most cases, opportunistic trout do not waste any time grabbing a midge larva that is floating helpless in the current. Here are a few my favorite midge larva patterns that have proven themselves over the years. I strongly recommend adding these to your midge selection if haven’t already done so. Larvae doesn’t require the same amount of finesse as it does with pupae or adults. I typically dredge my larvae imitations close to the substrate when there are no obvious hatches. My nymph rig includes three flies: One attractor (red midge larva, egg pattern, etc.) and two droppers. Make sure you check your local fishing regulations pertaining to tandem rigs. In some states you can fish with three flies while others you can only use two. ​Egg-midge combos are effective a large percentage of the winter because there are always a few trout spawning in our streams. Oftentimes the egg-pattern draws attention to the midge imitation. I frequently use a red midge larva as an attractor with the same goals in mind. If there are no obvious hatches, I’ll trail two larva imitations off my attractor. To get my flies down in the current, I place a #6 split shot on my leader about 12 inches above my first fly. Then I put some JP’s Nymphing Mud over the split shot to get my flies to the desired depth. If you’re not occasionally picking a little moss off your nymphs you’re probably not deep enough! Once I begin seeing a few adults buzzing around the stream, I’ll swap out my bottom dropper with a pupae imitation. Some of my favorites include: Size 20-24 Black Beauties, Top Secret Midges, Manhattan Midges, Medallion Midges, Minute Midges, Jujubee Midges, and South Platte Brassies. This allows me to cover my bases and imitate both larvae and pupae, the predominant food organisms on any given day during the winter months. Between November and March it is important to concentrate your efforts in the slow, deep runs and pools. This is precisely where trout overwinter, trying to maximize their food intake while expending the least amount of energy. 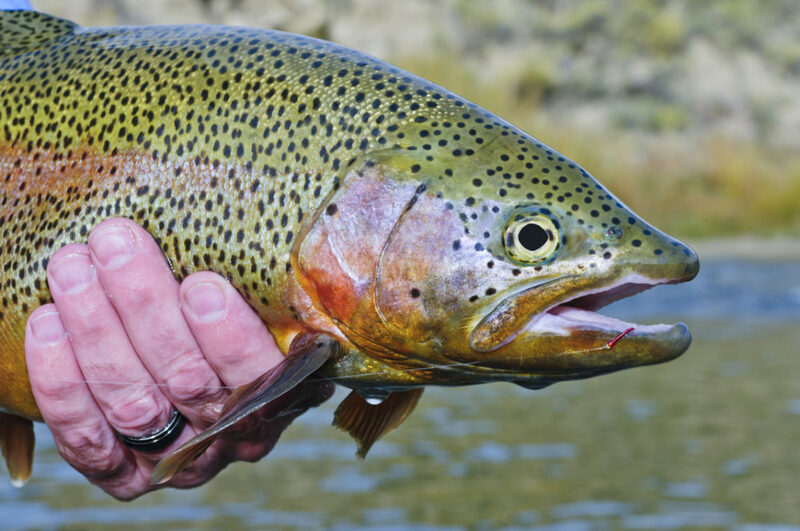 The best fishing is between 11 a.m and 3 p.m. when the water temperatures are conducive to finding a few feeding trout.